Lyon County, one of nine original Nevada counties created in 1861, is situated in western Nevada near Lake Tahoe. It is named for General Nathaniel Lyon who died in the Civil War. 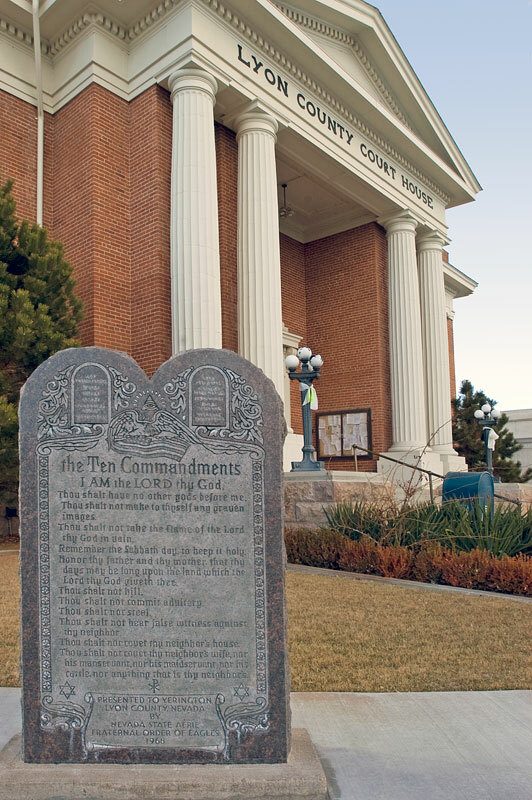 The original county seat was Dayton, formerly known as Chinatown then Nevada City, but after the courthouse burned in 1909, the county seat moved to Yerington. Lyon County has an area of 2,016 square miles or 5,222 square kilometers and a population of about fifty thousand souls. The main east-west highway in Lyon County is US 50, the loneliest road in America. The main north-south highway is Alternate US 50 & 95. The original transcontinental railroad passed through northern Lyon County. Amtrak's California Zephyr and Union Pacific freight trains continue to pass through Fernley, but the Zephyr does not stop here.